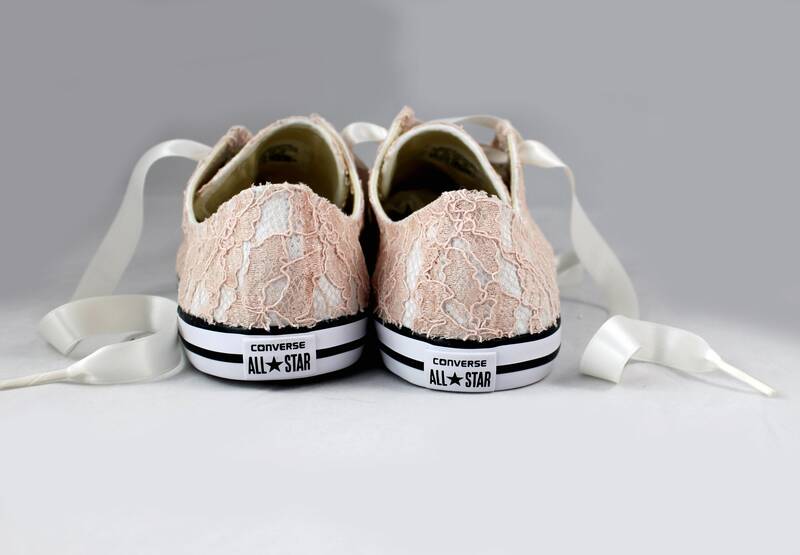 Skip down the aisle in comfort in these beautiful white Converses adorned with blush lace! 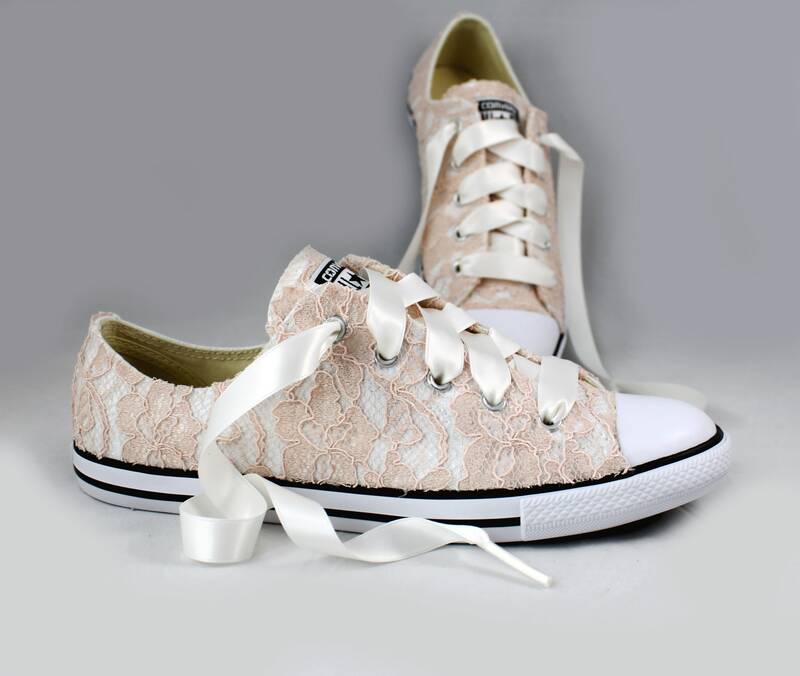 Pictured in white converse shoes, with blush lace and Ivory ribbon shoelaces. 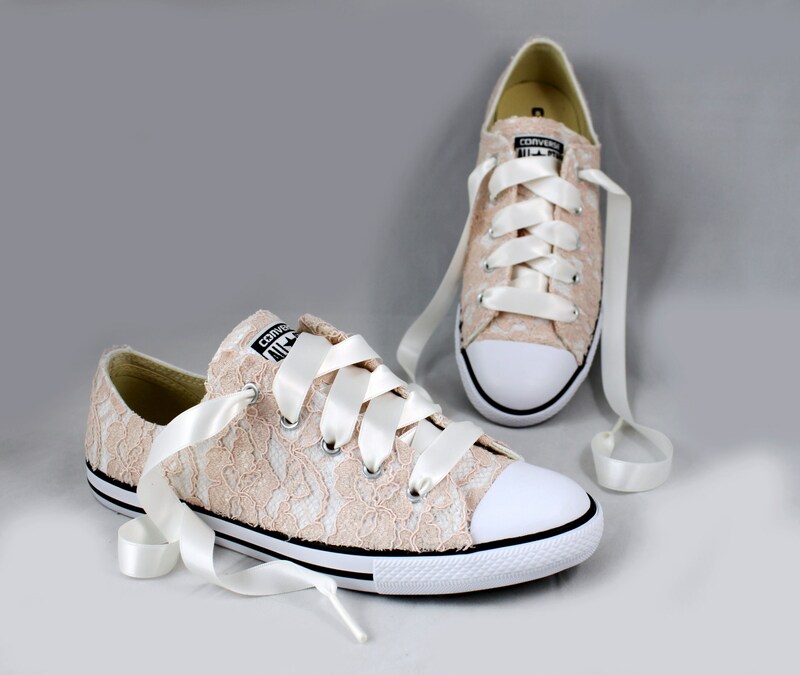 Also available in white, ivory or champagne lace. These shoes ARE EVERYTHING! 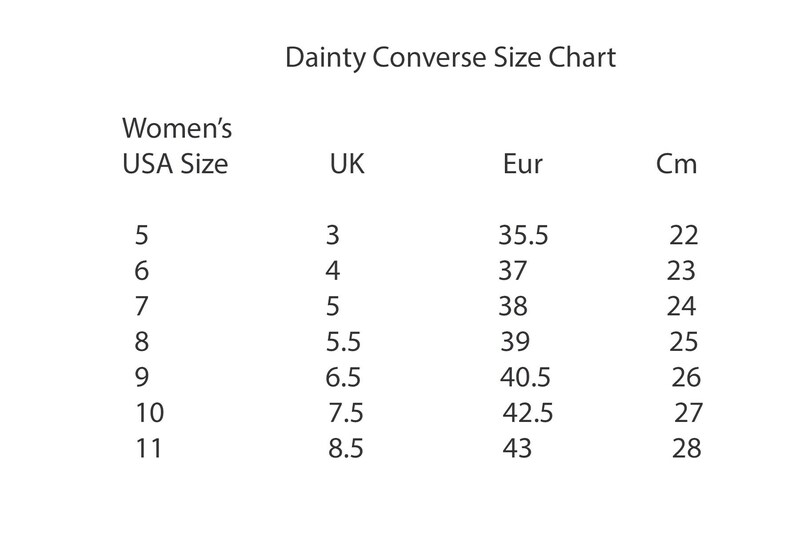 I had been debating for so long regarding these shoes and I can't believe how perfect they are. They look EXACTLY like the picture. 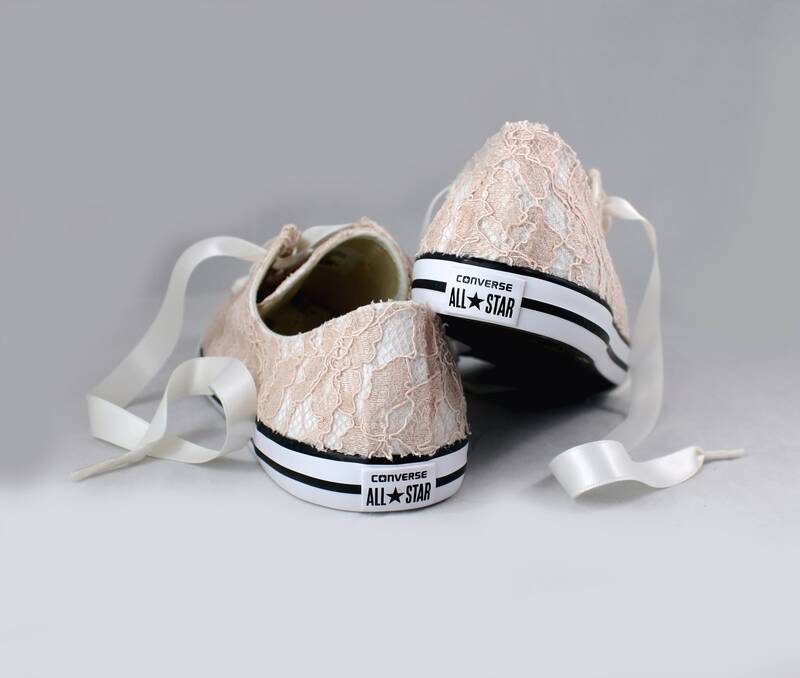 I cannot wait to wear these on my wedding day!